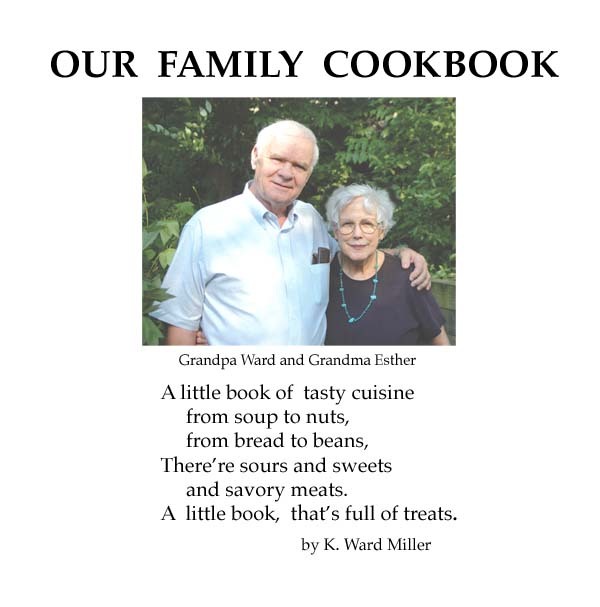 Painter and Poet's Family Cookbook-fresh from the printer! 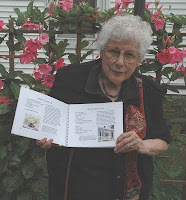 A few months back, I wrote about a small edition of this cookbook, which I printed. Since I am a painter and not a printer, it was a struggle - and also way too time consuming. About a month ago, we found an outstanding printer - Brinkman Press in Indianapolis. They are knowledgeable, careful, and precise in their work - and willing to produce smaller editions. They were patient with me and helped me through the process of providing them files much better than I could ever have done without their expertise. 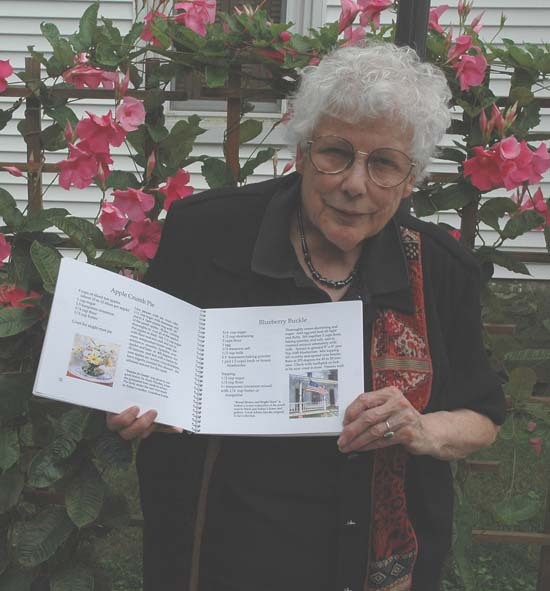 The front and back is laminated card stock and the spiral binding allows the book to lie flat - making it easier to read as you search for ingredients. Also, we have a very good friend in Plymouth, who offered to proof read - and boy oh boy, what a good job she did ! - finding an embarrassing number of goofs made by yours truly. The bottom line is, we were able to provide a more professional cook book and/or coffee table book, at a low price of $39.00. "Uncle John's Barn" The inspiration for this barn rumbled through my mind, for quite a few years before I finally painted it. In the meantime, the barn deteriorated to the nth degree -one section after another, until it finally collapsed! Located on 9th Road, west of Plymouth - the barn always drew my attention and I photographed it in different seasons, on sunny days and on shady days. I grew up on a dairy farm in northeastern Ohio, and the small herd of a hodge podge of heifers reminded me of my early home. So - I finally painted it, and named it in honor of my father, John Henry Scobie. 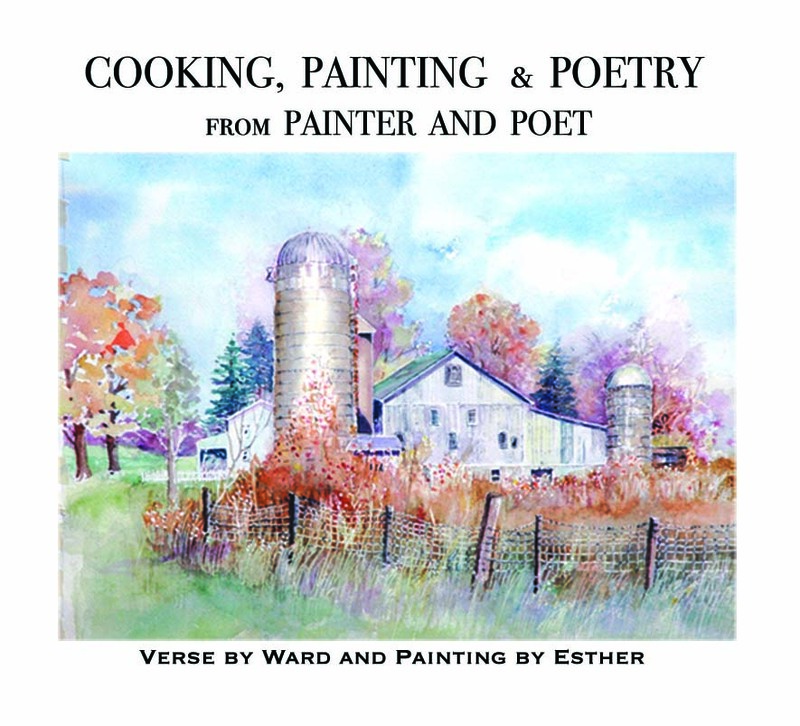 And this watercolor is on the cover of our cookbook with over 100 of our favorite family recipes, almost 90 small full color illustrations from a wide variety of my watercolors, and the "icing on the cake" (pun intended) is some nifty poems by Ward. Beginning to recover more from an annoying recurrence of shingles, I feel able to get back to active blogging. And the plan is to include info on some of the individual pages of this book. It'll be fun for me to go back into Memory Lane and share some of the details with you.. Note: Colors will vary with different monitors. They appear very saturated on my monitor, but while bright, the actual colors are not garish. These balloons are from photos taken at Plymouth's Blueberry Festival at least 15 years ago. Most of them belonged to balloon enthusiasts living within 60 or 70 miles of Plymouth. 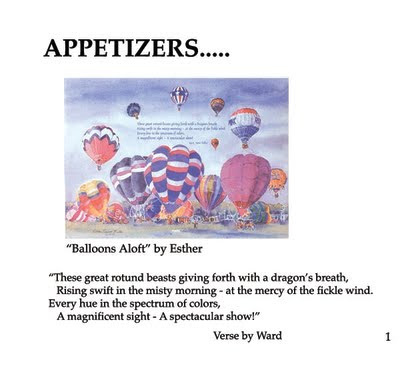 Ward and I used to get up early on the Saturday morning of "Blueberry weekend" and rush to Plymouth's municipal airport, to get there for a fund raising pancake breakfast and to watch the breath-taking sight and listen to the exciting roar of the fires igniting the gases to get those balloons up and away. Weather conditions had to cooperate and there had to be enough wind to allow them to drift away, but not too much to be dangerous. What a thrill to watch and listen to all of this. I still get goose bumps remembering. 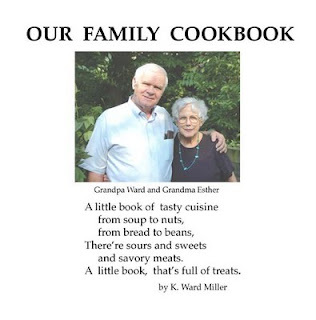 For cookbook orders, Shipping is $4.00 for the first book, and $2.00 more for each additional book. Please call or email us to place your orders. Please don't leave any credit card info on the phone or in your email. We accept all major credit cards and personal checks. With varying shipping costs, we can't set up our web site to accept book orders. If we aren't here, I'll call or email you back. Labels: COOKING, Esther holding new cookbook, http://www.painterandpoet.com/, Our front yard with "Chairs"